In the current economic turmoil, one thing has become clear. In an environment of cutbacks, downsizing, and restructuring, formal lines of authority and accountability have been seriously disrupted and blurred. Therefore, it’s more important than ever to build your ability to “influence without authority”, since the people upon whose efforts your success depends may not report to you, or even to anyone at all. Go out of your way to assist others. If you are viewed as someone who volunteers to do extra work to be helpful to your colleagues, they are much more likely to be motivated to return the favor. Norms of reciprocity have been a universal in human history, across cultures and societies, and even in other species like primates and bats. Be transparent about your motivations and overcommunicate. Let others know that what you are asking them to do is in the organization’s best interest, not just in your best interest. 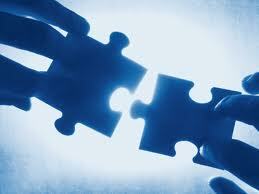 Therefore, make it clear that working together can accrue to everyone’s benefit. Share credit with others. One of the easiest way to eliminate anyone’s interest in, or motivation to, assist you by expending “discretionary effort” is to fail to give credit to others for their contributions or accomplishments, or to unduly blame others when things go wrong. The more credit you share, the more you will motivate others to work with you in order to share the benefits of whatever you accomplish together. Do not pull rank. One of the worst things you can do in a situation in which you lack authority is to try to pretend that you have authority. Your coworkers will resent your trying to misrepresent yourself and your role vis-a-vis their roles, and will likely try to undermine your efforts. For help in getting things done when you’re not the boss, contact Robyn at rmcleod@chatsworthconsulting.com.